Howard Hodgkin by Graham-Dixon, Andrew: New York : H. N. Abrams 9780810934184 First Edition. - MW Books Ltd.
Howard Hodgkin is now being acknowledged as one of the great painters of modern times and one of the most inventive and original colorists of the twentieth century. His paintings exist at the margin between representation and abstraction, bright mosaics shot through with hints and glimmerings of recognizable form. They are intelligent objects, constantly in dialogue with the art of the past, but they wear their learning lightly. The cryptic intensity of Hodgkin's art stems from the artist's self-confessed desire to be true to his own feelings, to embody his passions and fears, his aspirations and anxieties, in the often refractory medium of oil paint. His art is both tender and profound. This superbly produced volume is the first monograph to be published on the artist. Andrew Graham-Dixon investigates Hodgkin's rich and complex art through its guiding themes and elucidates the passions and preoccupations that lie behind the paintings. 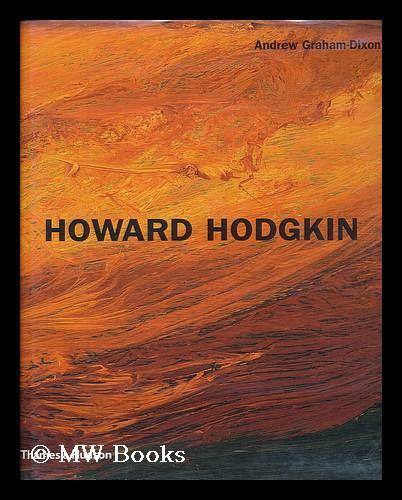 Avoiding the standard chronological course of many monographs, the book focuses on the emotional and intellectual essence of Hodgkin's paintings as the author explores them in great detail. He examines Hodgkin's complex use of scale and color, the nature of his pictorial language, the frequent eroticism of his art, the notions of time and of human experience that it embodies - and finds in the work a perennial tension between exuberance and melancholy. Graham-Dixon argues that Hodgkin is a classic modern painter, but in an old-fashioned sense; an artist who meets Baudelaire's old clarion call for a "painter of modern life." "Acclaim for Andrew Graham-Dixon's Howard Hodgkin 'Great panache... excellent reproductions' - Julian Bell, The Times Literary Supplement 'A persuasive introduction to a particularly beguiling form of painting' - Vogue"